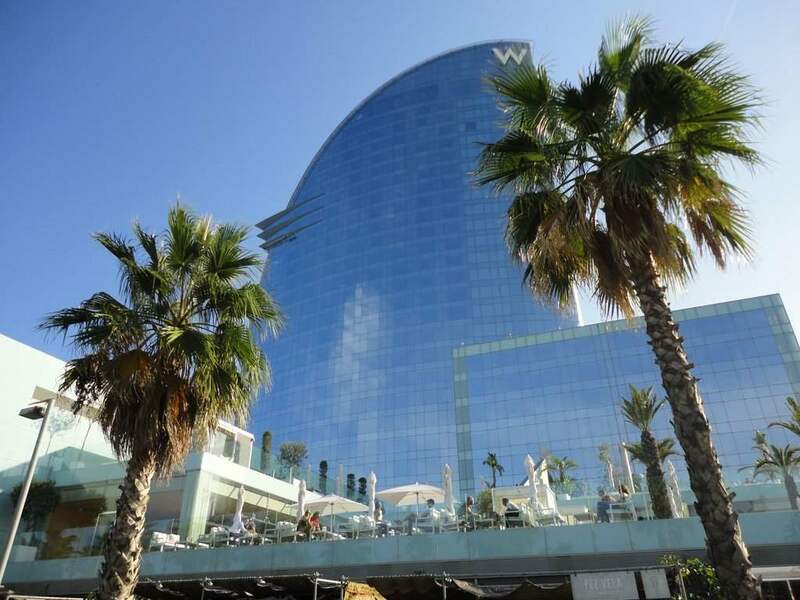 Barcelona’s emergence as Europe’s leading ‘urban resort’ was the subject of a trade conference on Tuesday, attended by some of the industry’s biggest players. More foreigners are buying property in Barcelona than ever before, in part because of an industry that has developed in the city to serve this market. 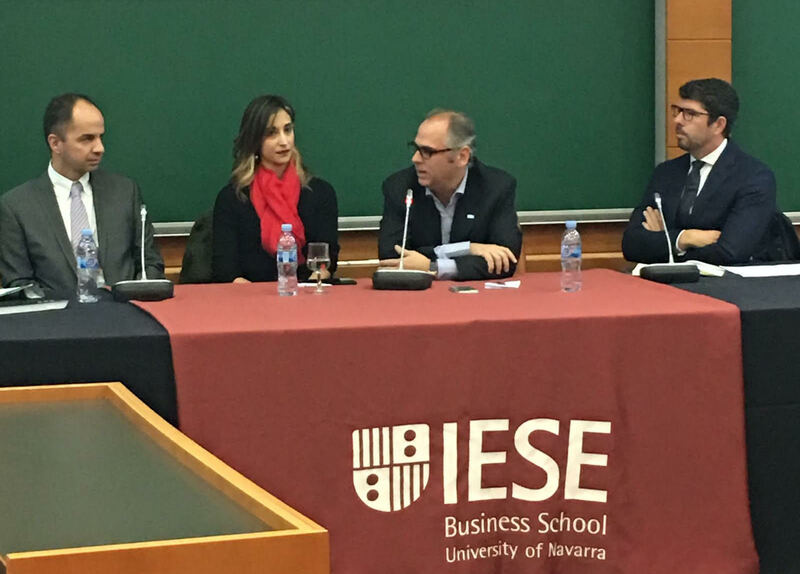 On Tuesday morning 70 professionals from the industry gathered at IESE business school in Barcelona to discuss the market, and share their knowledge. The conference was organised by the Second Home & Resort Industry Observatory (Shario.org), of which I am a director, to discuss the foreign market for homes in Barcelona, and provide industry insiders with an opportunity to network and talk shop. 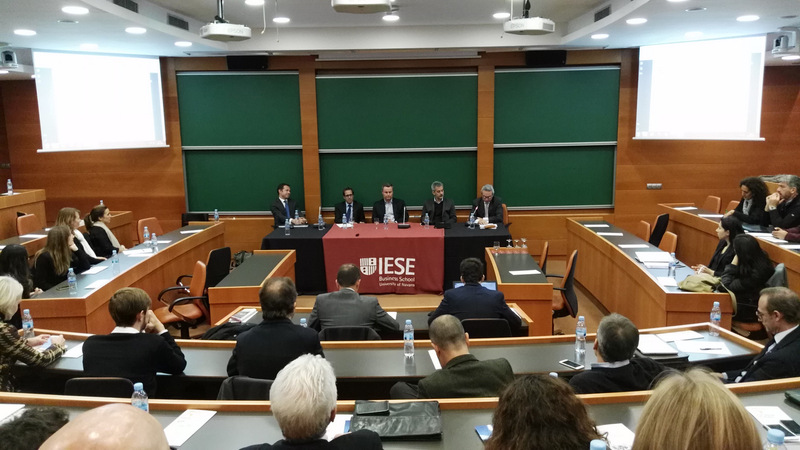 The morning conference consisted of two round table discussions; the first one focused on Barcelona’s emergence as an ‘urban resort’ destination for foreign buyers, and the second one looking at the new development business in the city catering to international demand. Many of the leading players in the industry were present, either as panelists or in the audience, ensuring a high level of expertise. On the first round table discussion panel, which I moderated, were estate agents (pictured left to right) Guifré Homedes of Amat Immobiliaris, Constanza Maya of Engel & Völkers, François Carriere of Coldwell Banker, and Alex Vaughan of Lucas Fox, all leading figures in the business. I kicked off the session with a brief presentation of data showing how foreign demand for homes in Barcelona has grown strongly in recent years, up 24% in 2014, 14% in 2015, and 22% in the first half of 2106. Foreign demand now accounts for 15% of total demand citywide, up from almost nothing in a decade. Looking at the breakdown of demand by nationality in Barcelona province (not just the city) buyers from China overtook the French as the biggest group in 2015 (up 62% yoy), with Italy in third place, followed by the UK, Russia, Morocco, and Germany, between them accounting for more than 50% of foreign demand in the city. The roundtable discussion then got underway, with François explaining how the market has changed since he first started selling property in Barcelona in 1998 (under the international agency brand John Taylor), when foreign demand was largely limited to expat executives living in Barcelona. Alex, who co-founded Lucas Fox in Barcelona in 2005, saw how the crash of 2009 created a golden opportunity for international buyers in Barcelona, as the local market imploded and drove down prices, forcing distressed vendors onto the market, and pushing many local agents and developers out of business, eviscerating the competition. But whilst the real estate market in Barcelona went into meltdown along with the rest of Spain, tourism in the city went from strength to strength, increasing the pool of potential buyers from abroad. Slowly but surely, on the back of tourism and globalising property markets, not to mention the city’s obvious attractions, Barcelona has emerged as a leading ‘urban resort’ destination for foreign property buyers. The panel discussed the concept of an ‘urban resort’ as distinct from traditional resort towns on the Spanish coast like Marbella. An urban resort, it was agreed, has the climate and beach of a traditional resort, plus all the attractions of a big city like shopping, culture, healthcare, schooling, and a big local economy. The combination of rising tourism, good access (including a new airport terminal and fast train link to France), low property prices, quality housing, and all Barcelona’s charms as a Mediterranean city with a climate and beaches to match, have helped make Barcelona a leading ‘urban resort’ destination for international property buyers, following in the footsteps of Miami in the US. Alex pointed out that hotels like the Mandarin Oriental and Hotel W have also helped to position Barcelona as an upmarket tourist destination. So much so, that foreign demand now dominates the market in certain areas, for example the Eixample, Gothic Quarter & Old Town, and Poble-Nou Sant Marti area near the beach, including Diagonal Mar. Constanza revealed that 75% of Engel & Völker’s clients in the Eixample come from abroad. All agreed there is now a shortage of new or refurbished homes on the market that appeal to foreign buyers. 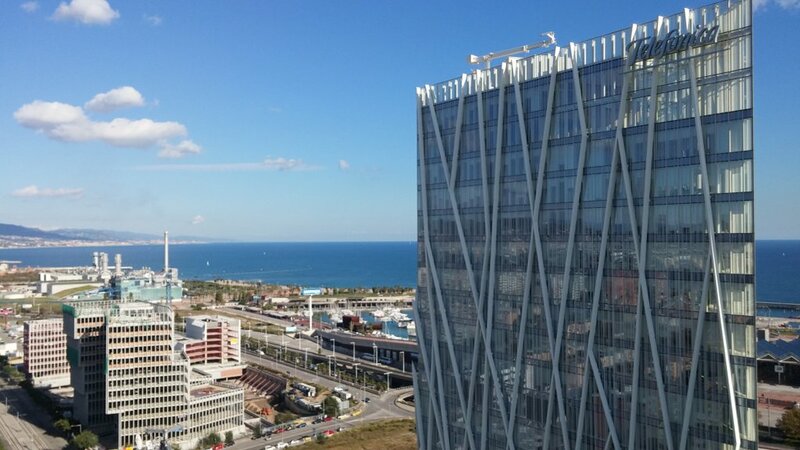 Guifré reported having plenty of buyers interested in the Diagonal Mar / Forum area, but very little product to offer them. With regard to prices, the consensus was that Barcelona still looks cheap by international standards, especially compared to cities like London, Paris, Milan, as François pointed out (whilst recognising the limitations of international comparisons). Foreign investors can see the same numbers, and draw the same conclusions. With Chinese buyers now taking over from the French as the biggest group of foreign nationals buying in Barcelona we spent time discussing the Chinese market. Guirfé explained how he reaches Chinese Golden Visa investors by organising private seminars for groups of clients with professional local partners in China like financial advisors. But it seems that most Golden Visa investors from China come through channels that are tricky to deal with, whilst the majority of Chinese buying in Barcelona today are likely to be economic migrants with relatively low budgets buying in areas outside the city centre. Other aspects of the today’s market were discussed, such as the increasing diversification of foreign demand, with the Middle East and North Africa emerging as strong markets; the limited impact of Brexit on Barcelona; and the lack of price transparency that puts of foreign buyers and makes life difficult for agents. When the time came to wrap up the discussion, all agreed the outlook for the next few years is positive. After a presentation by Marta García of Tinsa – Spain’s leading appraisal company – of their Certify Legal due diligence service to help buyers and vendors transact with confidence (learn more) the second roundtable discussion got underway discussing the new development business in the city catering to international demand. On the panel were (pictured left to right) Juan Velayos, CEO of Neinor Homes – the leading developer in Spain; Victor Sagué, a new development marketing consultant and formerly marketing director of Nuñez in Navarro and before that Taylor Wimpey Españan; Jan Maarten Goedemans, a partner at ARC Properties – a new-generation developer in Barcelona (projects include Marlet 1 and Ausias March 49); Carlos Infantes, founder and director of FHAUS – part of Grupo Elix – a developer in Barcelona and Madrid; and Prof. José Luis Suárez of IESE, who moderated the panel. The discussion was wide ranging, covering all aspects of new development in Barcelona, with special attention given to the challenge of building for foreign buyers. We learnt that foreign demand is helping to drive up land and building acquisition prices in the city, where development opportunities are scarce. Juan reported land prices in Barcelona province up 15% compared to prices recently paid by Neinor Homes, and Jan Maarten talked of building prices up 20% or more on the city centre. Jan Maarten also explained how a new wave of foreign investors are piling into the city and jumping on opportunities that more seasoned players have already rejected, suggesting that naïve newcomers with more money than experience are helping to push up land and building acquisition prices, with implications for house prices down the road. Victor explained the challenges of marketing and selling new developments to foreign buyers – challenges that require capabilities few developers in Barcelona can boast of – and Carlos used a football analogy to illustrate how Barcelona is emerging as a destination for foreign investors, but is not yet in the ‘Champions League’ of cities that attract the global cosmopolitan elite such as London, Paris, and New York (thanks to disadvantages like the local tax regime). Barcelona is growing as an international investment destination but not yet in the ‘Champions League’. Though an easy sell to foreigners who already know and love the city (and who move quickly when they are ready to buy), there is still a huge global market of foreign property investors who don’t yet have Barcelona on the radar. Can Barcelona get on that radar? Local buyers are being priced out of some segments, as they don’t have the spending power to compete with affluent buyers from all over the world. The same has happened in cities like London, and looks inevitable in Barcelona, argued Alex. There may be a local political reaction against it, but the reality is that nothing much can be done to stop it. With foreign demand helping driving up house prices in central city districts, it’s not clear how price-sensitive foreign demand will be. 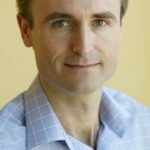 Will higher prices reduce or increase (speculative) foreign demand? Most of the people I talked to felt that prices still have plenty of room for growth. There is a shortage of new and renovated homes on the market today, but there are a good number of projects in the pipeline, so this situation could change in a year or two. New investors from abroad are piling into Barcelona in search of development opportunities, and paying high prices for assets that seasoned investors have already turned down. This is pushing up acquisition prices across the city, putting upward pressure on new home prices, which will have to rise if investors are to avoid disappointment. The business is attracting lots of new entrants hoping to sell to foreigners, and professional standards are falling. This makes it more important than ever for buyers and vendors to deal only with reputable companies. Barcelona is a beautiful city in a privileged location and offers an enviable lifestyle that few other European cities can compete with, which is why I think it deserves its label as Europe’s leading urban resort. It also has a compelling investment case at the current stage of the market cycle. So if you don’t know Barcelona then check it out, and if you do know the city and plan to buy or rent here, then make your move sooner rather than later, as purchase and rental prices are rising. Whatever you do, only deal with reputable companies to avoid serious problems when buying, renting, or selling property in Spain. Living in another city as well as Barcelona, and having knowledge of a 3rd city (Vancouver) and the hell foreign investment has created for locals there, all I can say is that I don’t welcome foreign investment to create an ‘urban resort’. Barcelona is a lively city that will suffer if locals end up having to move to make room for ‘investors.’ Go invest in something that doesn’t affect people’s lives. I married a Spaniard and that I why we bought here. My spouse is a full-time resident and I will be shortly, so I don’t see myself as a hypocrite when writing this. I moved to a city, not a resort. I bought in a residential building, not a hotel. I want to live in a city of locals, not investors. And Vancouver recently slapped a 15% tax on foreign investors (see below) and has implemented other harsh measures to try to reverse course. Please be part of the solution, not the problem. Gary, I understand where you are coming from but I suspect reality is both better and worse than you fear. Barcelona (population 1.6m) is much bigger than Vancouver (600k), and the number of foreign buyers is, I assume, still relatively low at 15% including many economic migrants who are living here. Prices are rising in the city but nothing like the level of Vancouver, and prices are still significantly below 2007. The market is not overheating, at least not yet. The vast majority of owners in the city are local, and they can do with a better household balance sheet, especially those still in negative equity, of which I know a few. I live in the Eixample, in an area popular with foreign buyers, but the numbers are still so small you wouldn’t notice it. Apart from the tourists, and Chinese and Pakistanis running ever more cheap bars and shops, it still feels very local. The urban resort label is just a way to understand why Northern Europeans are buying second homes in some parts of the city, but they are nowhere near having an impact on the city feel. They do, however, have an impact on house prices in some areas, and that could become a problem. But it’s also a problem in many other cities, not just Barcelona. Just look at London. On balance I think that cultured people buying second homes in Barcelona for personal use are a good thing at current levels. However, if Barcelona starts attracting large numbers of Chinese investors just parking money outside China, as it seems is happening in Vancouver, and other Canadian and Australian cities, then we will have a problem. But that is not the case yet. Chinese investors seem to prefer the Anglo-Saxons world, and anyway, I doubt any of them are reading this blog. As was clear at the conference, the Chinese market is a world unto itself. On the other hand, in parts of the Old Town and other tourist hotspots like the Sagrada Familia, Barcelona is already just an urban resort overrun with tourists, like Venice. But that’s driven by the tourist industry, not second-home buyers. City Hall seems to be trying to discourage tourist business in those areas, but it’s not easy, and many local jobs depend on tourism. I don’t know what the solution is to that problem. Foreign investors can have an impact. Good or bad? It depends.